What are the skills and mindset necessary to build a successful home based business? In the last 15 months, I have learned much of what it takes to accomplish that goal. This has been a major transition considering that my background is Corporate Sales. In that world, things are typically about yourself, and in this world, it is all about others. I never felt fully fulfilled in my Corporate roles. Looking back I believe the largest roadblock to success was that I never felt that I was positively impacting others. I also knew that I needed to refine my thinking and learn the skills necessary to inspire and build teams that build teams. There is no secret here – I hired a Business Coach to guide me in the right direction. It was my goal to know that when my team walked on the stage at our company events, we all knew what it took to get there and had the skillset to teach others the same. For me, any opportunity had to be family oriented. It was my goal to provide the ability for my wife, Sarah, to stay at home and home-school our children. And build a residual income that continued to grow and do the same for others. Once the opportunity arose that tied into our passion, I was all in. At first, Sarah was 100% supportive but watched from the sidelines for 9 months. Then she decided to try our product, got amazing results and the rest is history. 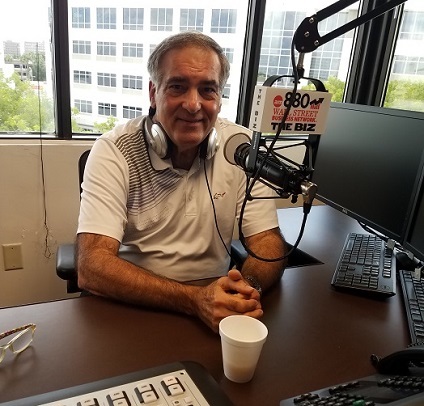 It is amazing how much our business has grown since we became a team. Also amazing how many more couples and women have joined our business. Since then we have been helping many stay-at-home moms, athletes, and burned out corporate women build successful home based business. Before my wife’s involvement, I struggled with the ability to build a team of women and now that we are a couple it happens naturally. Your past does not matter. Release it and become the person you are meant to be. If you are serious, there is no glass ceiling. The best way to start is part-time. Network Marketing is the lowest risk way to create residual income. Treat this like a career not a gym membership. This is not a lottery ticket. There is no special # on how many you need. Lawyers and doctors don’t ask how many times they must help others to be successful, they just keep going. You need to talk to others Daily to see if they are open to looking at what you offer. Some will have a fast start and others won’t. Just look at the alternative to not doing this at all- zero results. So what if this takes 2, 3, 5 years to build residual income- when it is built you won’t care how long it took! Don’t dip your toes in the water. Decide, and cut off all other options. Leverage your network and know that your friends know others who will be interested in what you have to offer. Be willing to learn, challenge yourself and step out of your comfort zone. Make sure you know how you built your business and are teaching others to do the same. These skills are crucial and will benefit you in all areas of life. Be part of a business that has a Servant Leader and know who that person is. Be coachable and follow the process in place. Hire a business coach and results will happen faster. If this is about you, don’t bother. If this is about serving others, then look out!!! 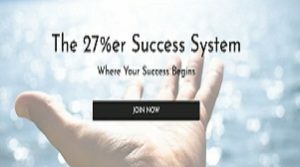 Become a 27%er Success Member and get on an incredible journey of growth! Here is your first Growth Bonus…. 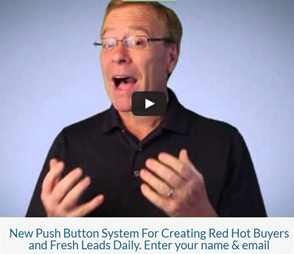 Become a $97/year 27%er Success Member and receive one of the best lead generation programs available FOR FREE! 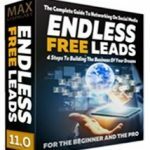 Endless Free Leads. We sell this program for $397 in our store, but you receive it for Free by becoming an annual member! Take advantage of this right away and pass this on to your team today! Join Here! Use Referral Code Chris Colt And Get A Second Year FREE! Chris is an inspiring loving husband, father of 3 great boys. 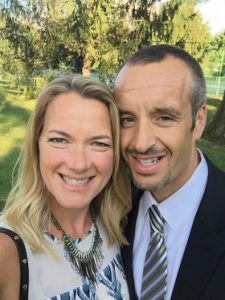 When he is not chasing around 3 kids he likes to do 100-mile mountain bike races.After 20+ years of a Corporate Sales background, he realized it was time to help others with their health and wealth in life.